Felipe Mac-Lean, has been part of Alto Atacama since the creation of the Company as CEO and COO. He was involved with the negotiation and purchase of land in San Pedro de Atacama. After years of traveling the world to help bring our dream into focus, we found the ideal place to bring it to life: the Catarpe Valley, in the heart of the Atacama Desert. It couldn’t have been any other place. 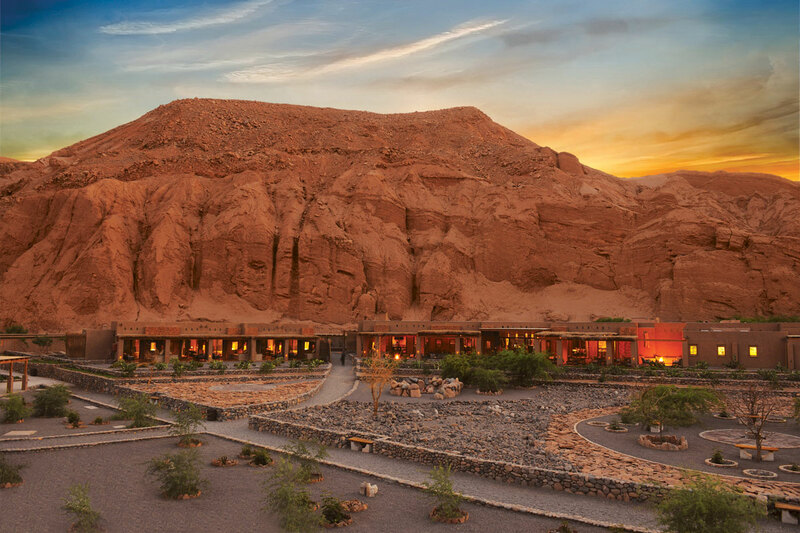 In order to create the hotel we had envisioned, we needed a location that would not interfere with the desert – where the desert could continue to reveal its enigmatic beauty. And it was here, in this valley, surrounded by the majestic Salt Mountains, the San Pedro River and at the feet of the ancient pre-Incan fort Quitor, that we brought our project to life. 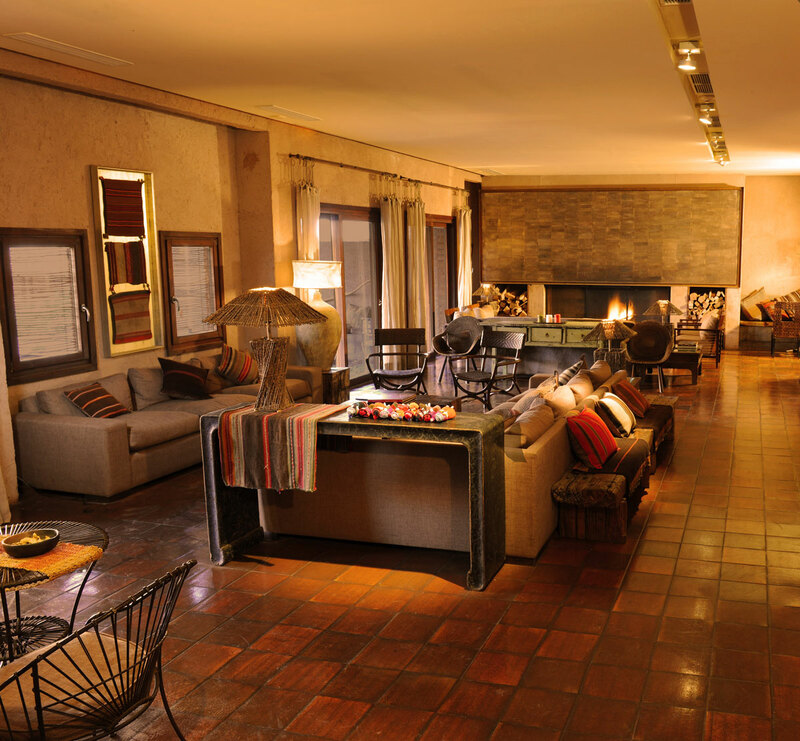 We added 10 luxury suites, designed by Enrique Concha. We offer more than 30 different excursions. The Puri Spa has treatments based on traditional ingredients and techniques used in the region for centuries. Alto Atacama is the only hotel in the region with an open-air observatory. 50% of our staff are locals. 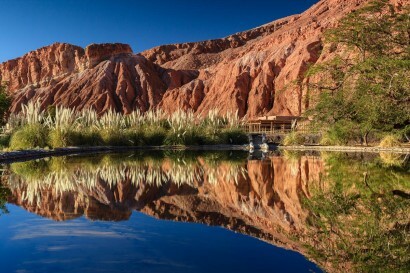 Alto Atacama’s stunning location in the Catarpe Valley, at the source of the San Pedro River and surrounded by the Salt Mountains, is just 3.5 kilometers from the village square. 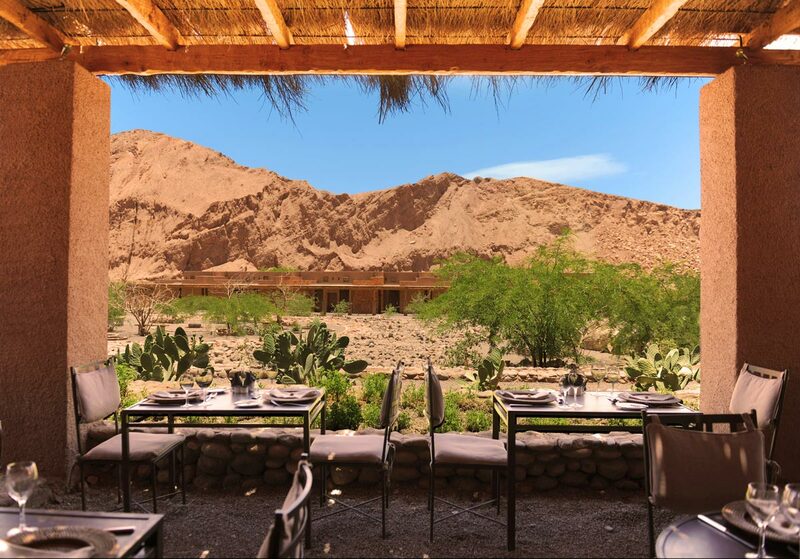 This secluded setting protects the hotel from all light and sound contamination and allows our guests an incomparable view of the Atacama night skies as well as the silence needed in order to contemplate and feel the beauty of the Altiplano. 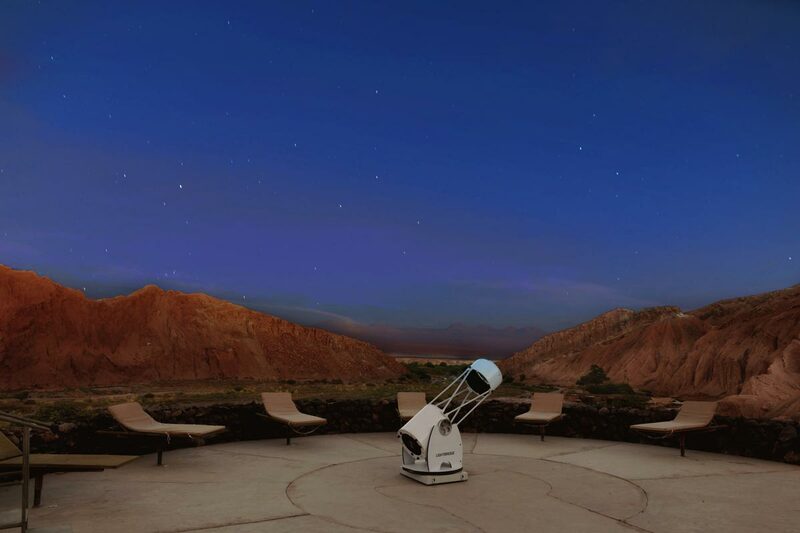 • Astronomic tour in our private Observatory. • Sunset at Salar de Atacama, Toconao & Chaxa Lagoon. • Sunrise at the Tatio Geysers. Our Andean Parkscape is made up of more than 15 gardens and hidden corners designed to preserve the beauty of the Altiplanic flora and fauna. 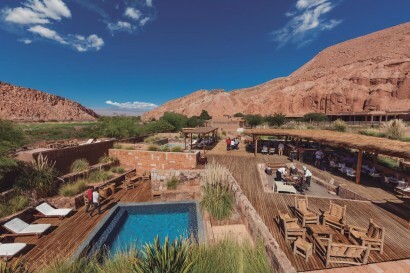 The hotel sits on 7.5 acres, a rarity in this area, where the influence of the convergence of all three neighboring mountain ranges can be seen clearly: the Salt, Domeyko and Andes mountains. 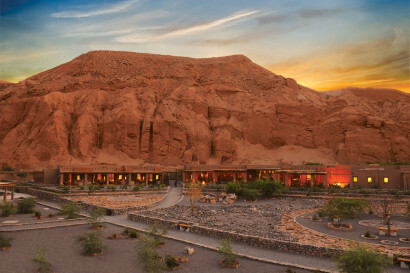 Most of Alto Atacama features are named after a concept in Atacameño language. 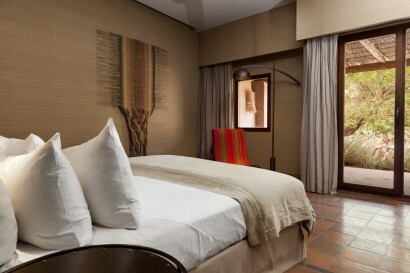 • 5 Quitor – 50 mts2 (550 sqf) – Alto Atacama’s Quitor rooms are the closest rooms to the common areas. 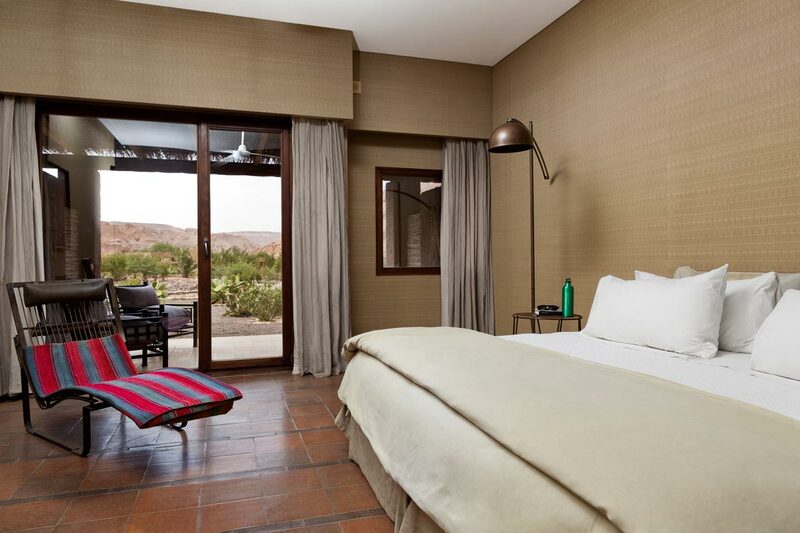 The views from the private terraces of these guestrooms look out onto the garden area of the hotel, framed against the Cordillera de la Sal in the background. 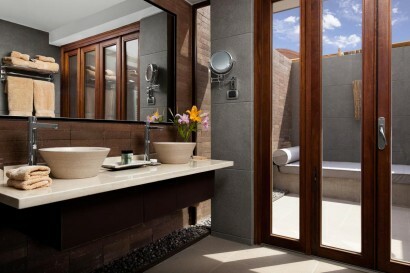 Amenities include a private terrace, safe deposit box and a minibar. 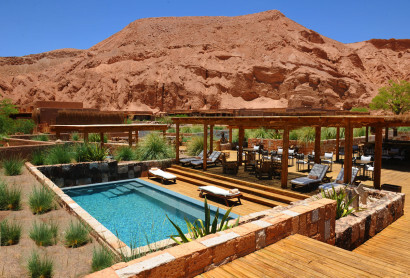 • 27 Catarpe – 51 mts2 (550 sqf) – The Catarpe rooms at Alto Atacama are located in the lush gardens. Slightly larger than the Quitor rooms, these Catarpe offer a more private terrace that is complete with uninterrupted views to the Cordillera de la Sal Range and the Catarpe Valley. 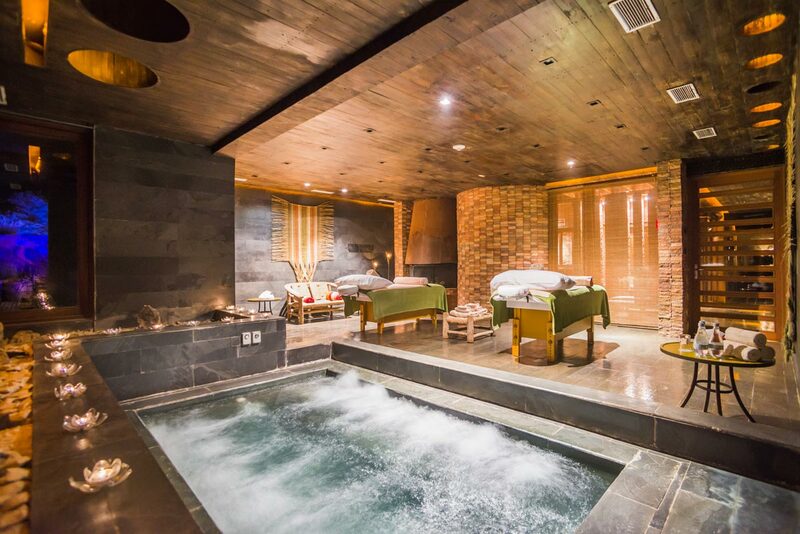 Amenities include a private terrace, safe deposit box and a minibar. • 10 Tilo Suites – 70 mts2 (770 sqf) Alto Atacama’s Suite Tilo rooms are the most privileged of the rooms at the hotel. 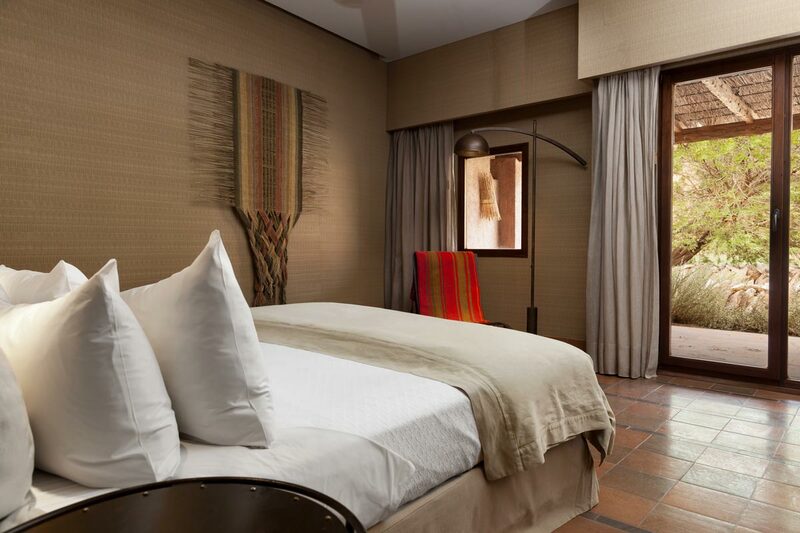 These rooms are specially located in the gardens of Alto Atacama and offer guests an open view to the quiet pond and the Catarpe Valley. Amenities include a private terrace, a private patio with an additional outdoor shower, a safe deposit box, a minibar and a connection availability, making these suites ideal for families. 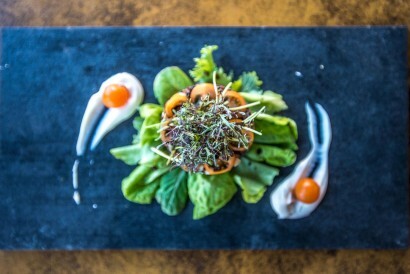 At Caur, the staff works closely with local producers who provide the restaurant with fresh, organic products, supporting the concept of farm to table dinning. This allows the restaurant to give directly back to their economy. A treat is sampling the locally grown Socaire potatoes, native quinoa, and Chañar- based sweets that can be spotted while on hikes, and collected along the way. Caur consists of a main indoor dining room and two outdoor dining areas to enjoy the fine dishes and an incredible selection of fine Chilean wines. • Puri Spa, named one of the ten best spas in Latin America and best spa in Chile by Spa Finder, offers treatments indigenous of the desert such as Sabay Massages, Altiplano Mud Treatments (an ancestral tradition) and Royal Quinoa facials, among others. 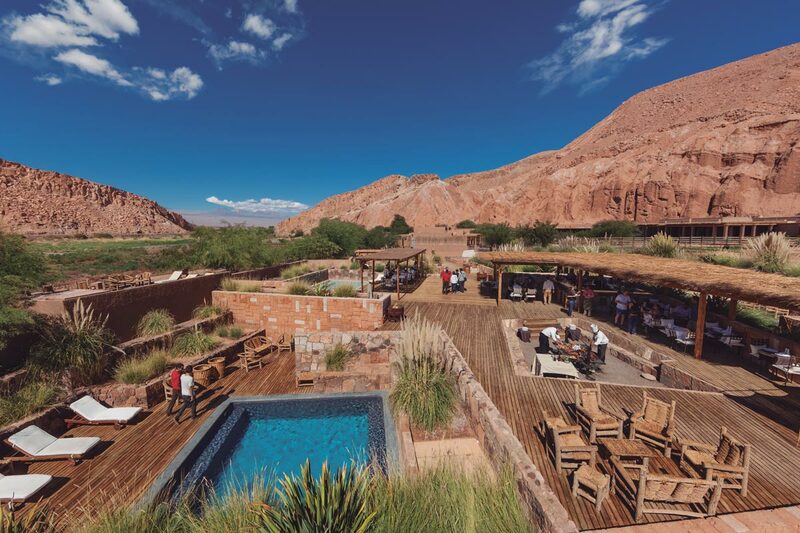 Alto Atacama has a space specifically designed for holding conferences, symposiums, seminars and events, the only one with exterior view in San Pedro de Atacama. A hall of 23 meters long (75ft) and 9.7 (31ft) wide, can gather 140 people standing and 120 comfortably seated.